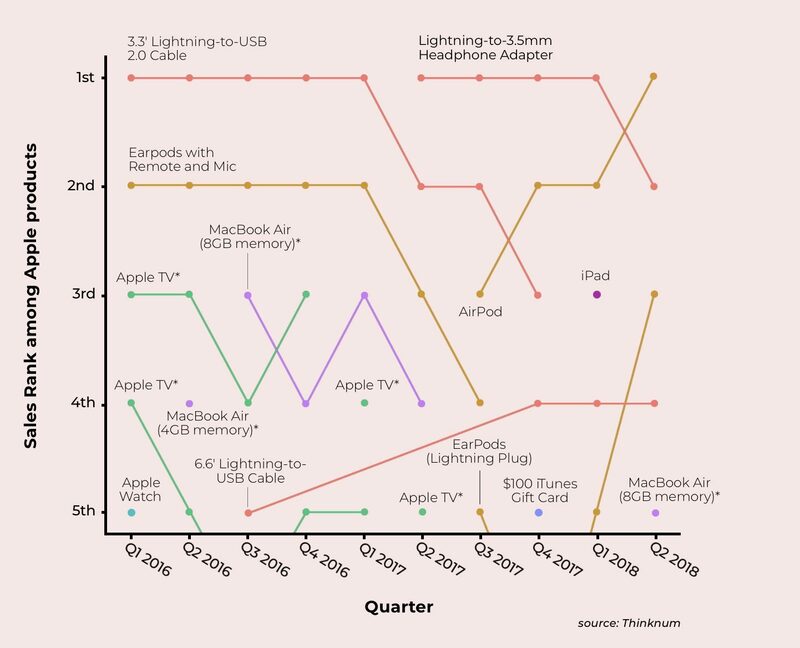 Some of Apple’s most innovative products such as the iPhones, MacBooks, and iPads, have apparently been outshone by the dongles it makes if latest reports are to go by. With the release of its iPhone 7 and the iPhone 7 Plus, Apple parted ways with the 3.5mm headphone jack and this decision did not bode well with a lot of customers, which has now made the $9 dongle the best-selling Apple product at Best Buy. According to Ceros, the 3.3-foot USB-C to Lightning cable and the 3.5mm to Lightning adapter have been the best-selling Apple products at Best Buy over the past two years. 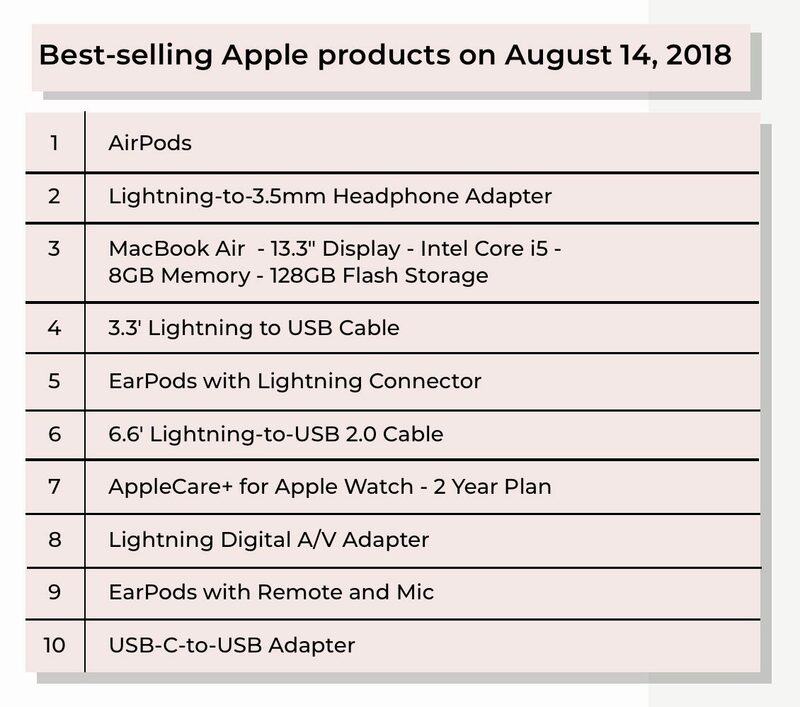 Even though AirPods have recently emerged as the top-selling individual products of Q2 2018, dongles maintain their position as the product to bring in the most revenue, with the headphones category being the runner-up. Interestingly, iPhones are nowhere to be seen on the list from Ceros, which could be explained by the fact that iPhones sales are counted on the basis of color and carrier variants. Moreover, a lot of customers buy their iPhones through carriers, not third-party retailers and a small percentage purchase unlocked models because you have to pay the full price upfront. High dongle sales could also be explained by the fact that Apple made the decision to let go of an industry-wide standard port from its products too soon or because the adapter is vulnerable to breaking and is easily lost. News has it that Apple may include a USB-C power adapter with the upcoming iPhones, and this may reduce the demand for dongles. However, the sales of older iPhones may outweigh the drop. 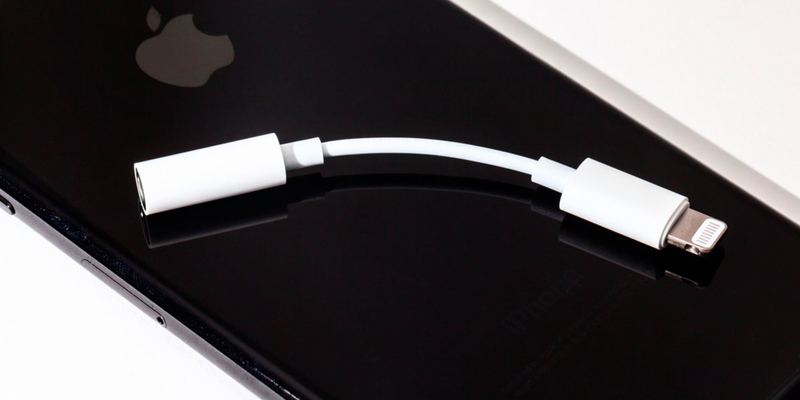 Apple might also stop including the 3.5mm to Lightning adapter from now onwards, and this will boost the dongle sales further.